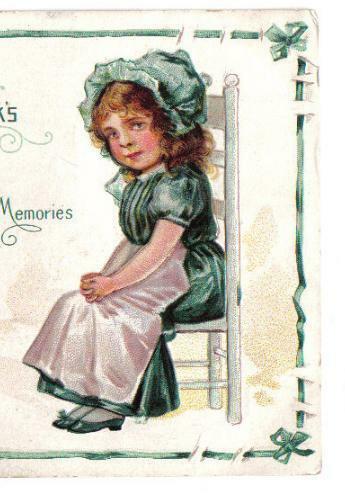 Vintage Nash Irish St.Patrick's Day Postcard "Fond Memories" features a boy in spats holding top hat facing a little girl, both sitting on chairs. 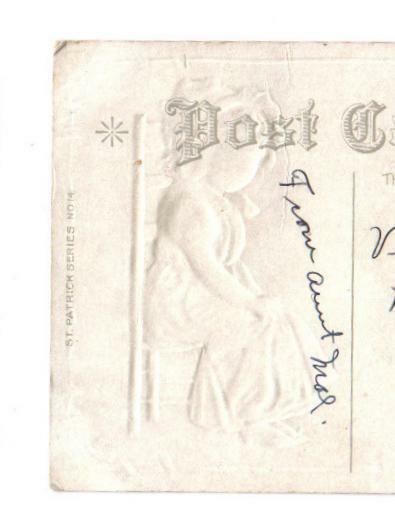 There are a few bends on card with some discoloration on the front. 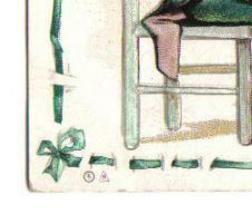 Very slight corner wear. 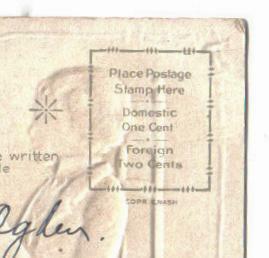 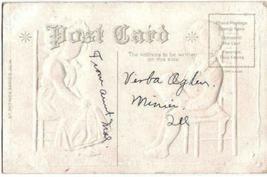 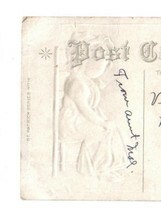 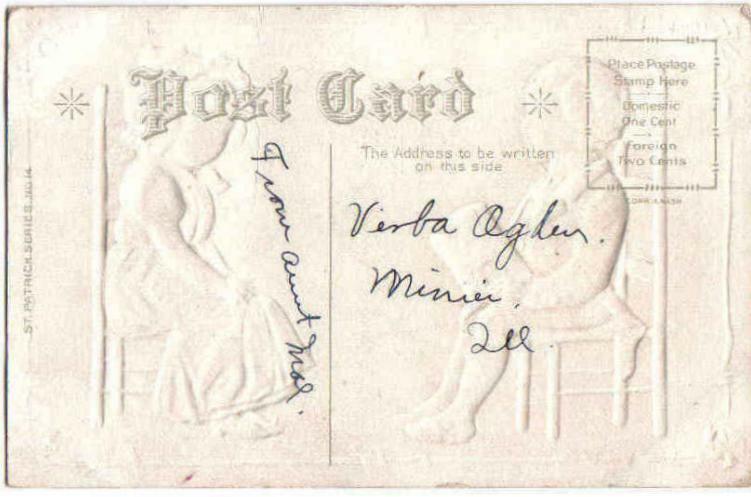 The postcard has a divided back with writing but not postmarked. 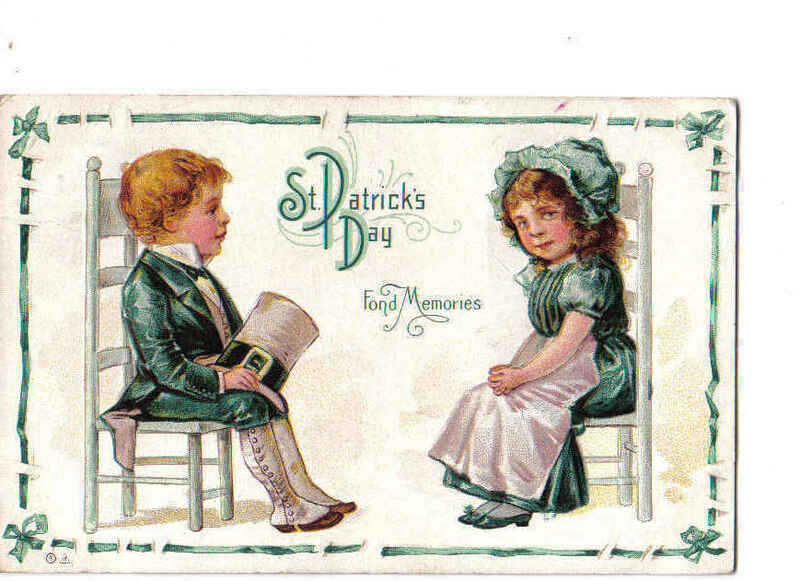 It says "St.Patrick Series No.14" on the back. 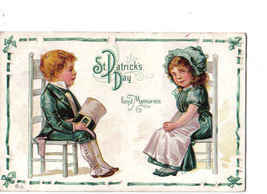 View the pictures to see more detail and the very good condition of this cute Nash St.Patrick's Day Postcard.